Today's feature is from Hobby and More. Richa has worked her magic again and created a delicious bread that's gluten-free, dairy-free, egg-free, soy-free and even gum-free. Her focaccia is a great way to enjoy any kind of vegetable topping. It's essentially a cheese-free pizza that makes you feel like a sophisticated eater! ("It's not a lacking pizza! It's a fancy bread!") 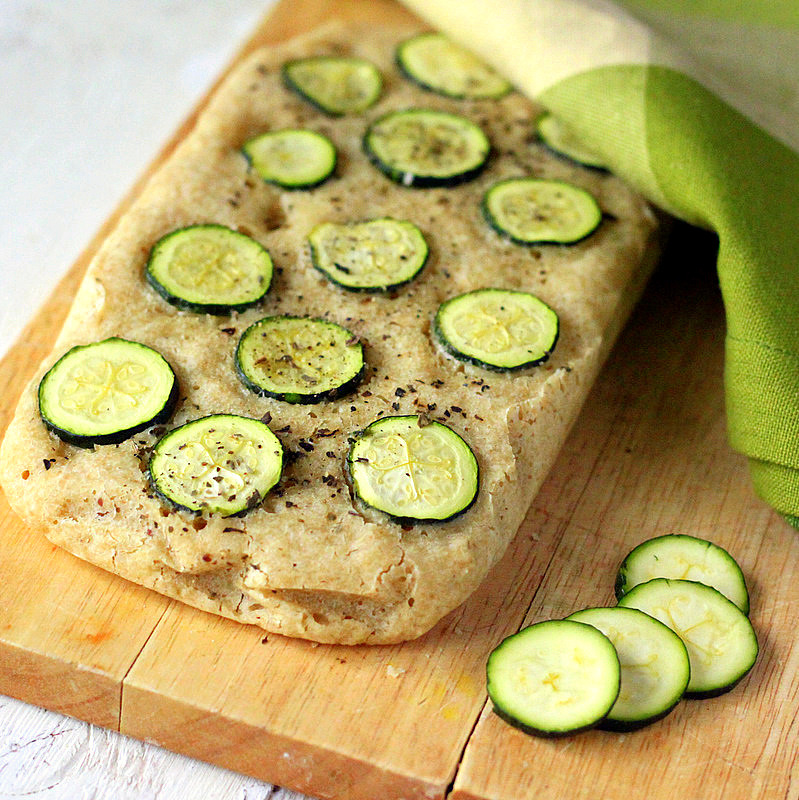 Click on the title above the focaccia photo to jump to Richa's site for all the recipe details. I'm having a Potluck Party - it would be great if you could share one of your fantastic recipes. This week I am sharing a fun and healthy way eat pasta: but GRAIN FREE! Sun dried tomato and artichoke heart “zoodle” pasta (made with zucchini noodles). Sooo yum! (Also Vegan, Dairy Free, and Gluten Free). Also, I’m having a great giveaway on my blog: 3 smoothie eBooks up for grabs. Come on over and check it out! Some very healing, wonderful recipes. Thank you for the feature Lisa! that bread douhg is very versatile, you can top it with anything and make a loaded pizza too! Linking up a simple spiced beet salad this week and more ways to add beet to the diet! Hi Lisa, I know it's not a recipe as such, but I've shared a link to my review of Good and Easy Eats, which is Kim Wilson's new ebook full of family-friendly recipes that are dairy-free, gluten-free, soy-free, egg-free and meat-free!